Enjoy a peek of the Monterey Bay and the sounds of the local sea life, in our nautically inspired Harbor View rooms. 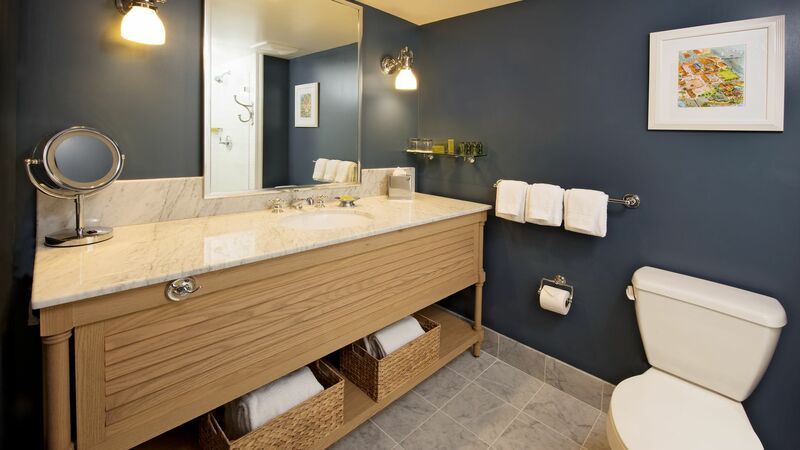 These spacious Monterey Bay lodging options are located on the 5th and 6th floors of the Portola Hotel and offer an enhanced room décor that includes upgraded wall coverings, crown molding, flat screen televisions and luxury eco-friendly bath amenities. Each Harbor View Room is equipped with the highest-quality amenities, including sustainable mattresses made from renewable resources, hypoallergenic pillow toppers, duvets and pillows, 300 thread-count white linens and complimentary Wi-Fi when you book direct.